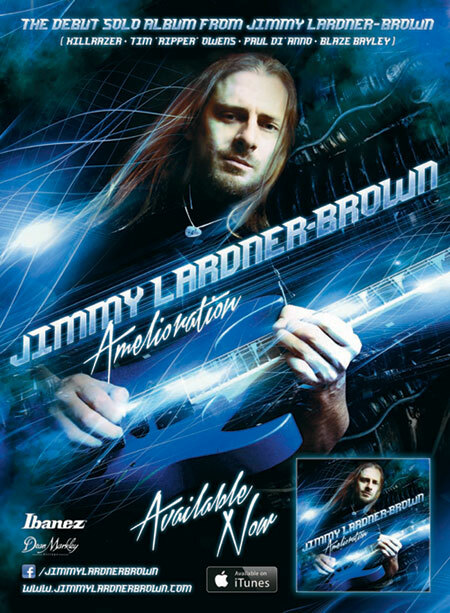 Jimmy Lardner-Brown is a guitarist, guitar teacher and columnist from Sydney, Australia. 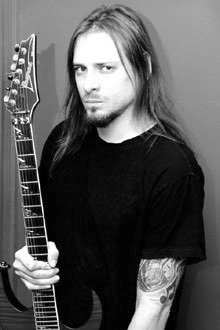 He writes a regular shred/metal technique column for Australian Guitar Magazine, has won two national 'Best Guitarist' competitions, and was lead guitarist for the thrash/death metal bands Vaticide (2001-2007), Killrazer (2007-2018), and the power/thrash metal band Darker Half (2015-2018). As a member of the aforementioned bands, Jimmy has performed countless shows across Australia and supported some of heavy metal's top acts including Children of Bodom, Helloween, Malevolent Creation, Accept, Anvil, Suffocation, and Krisiun. With Darker Half, he toured Europe in 2016 supporting German metal legends Rage, and again in January 2018 supporting Rage and Firewind. He has also toured Australia and New Zealand as lead guitarist for legendary metal vocalists Tim 'Ripper' Owens (Judas Priest, Yngwie Malmsteen, Iced Earth), Paul Di'Anno (Iron Maiden), and Blaze Bayley (Iron Maiden). Jimmy's debut solo instrumental album 'Amelioration' was released in 2015. The album features a diverse collection of instrumental tracks, from tender ballads to brutal thrash. Jimmy's influences include Steve Vai, Yngwie Malmsteen, Marty Friedman, Jason Becker, Michael Angelo Batio, Vinnie Moore, Tony MacAlpine, Joe Satriani, Alex Skolnick, James Murphy, Gary Holt, and Mike Keneally. Jimmy is endorsed by Ibanez guitars. In this website you'll find an archive of all Jimmy's 'Shredded Metal' guitar technique columns from Australian Guitar Magazine (including TAB and audio examples). These columns cover all aspects of shred and metal guitar such as scales, arpeggios, sweep picking, alternate picking, legato playing, string skipping, bending, exotic scales, tapping and more. 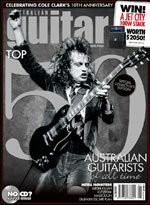 Also featured here are instructional video lessons from Australian Guitar Magazine. In these, Jimmy teaches and demonstrates all the basic scales, arpeggios, techniques, licks and theory needed to master the fundamentals of shred and metal lead playing. As well as this, there are videos and downloads of his own music and live performances.